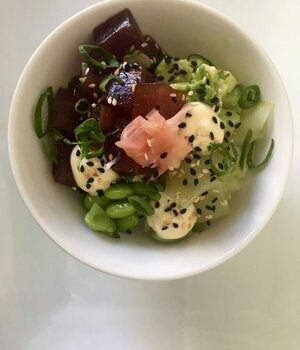 This year marked the 40th annual Cape Town Cycle Tour and it is one of Cape Town’s grandest events and Source Food is proud to have managed a number of activations around this grand event. 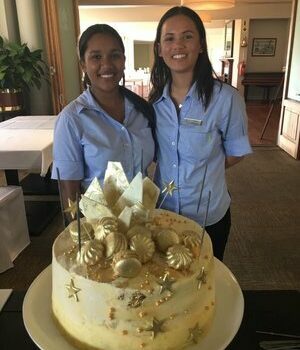 From the Cycle Tour Expo, to the Raymond Ackerman Invitational Golf Day, and the breakfast served to Pick n Pay VIPs on the morning of the race, we have been very busy. The Cycle Tour Expo ran from Thursday the 9th – Saturday the 11th of March 2017. 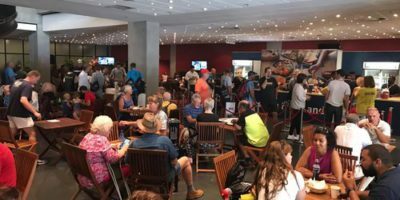 Exhibitors were able to walk through the Expo and view the stands of sponsors, pharmacies, not for profit organisations, and all sports affiliated and apparel brands. It is always amazing to see how many people, sponsors, and organisations come together to make the Cycle Tour great. Our part in this grand event? 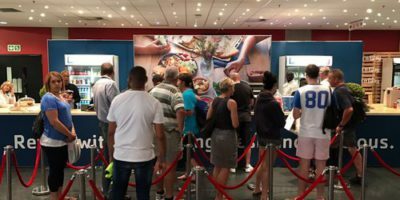 Source Food activated and managed the Pick n Pay Food Store at the Cycle Tour Expo. The Food Store offered a wide selection of foods from pastas, to mezze boards, to sandwiches and wraps, and fresh fruit juices and smoothies. 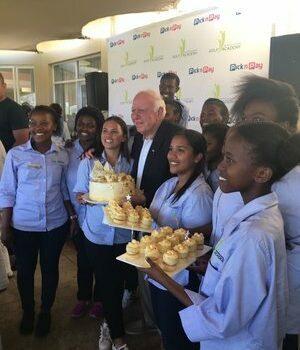 The food store also offered a selection of Pick n Pay sweets and cold drinks. 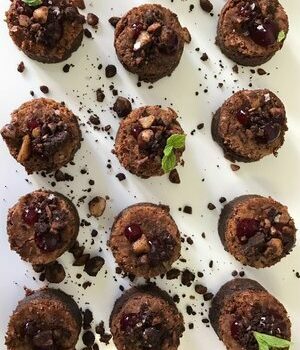 The invitational golf day took place on Thursday the 9th of March, which is the day before Raymond Ackerman’s birthday, and so we created micro cakes to serve as part of the lunch dessert. 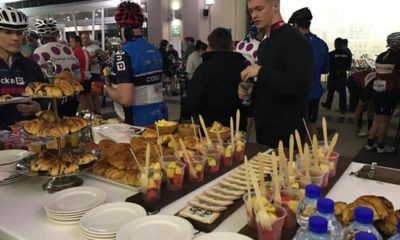 Our team of go-getters were up in the early hours of windy Sunday morning to manage the breakfast at the start of the Cycle Tour. 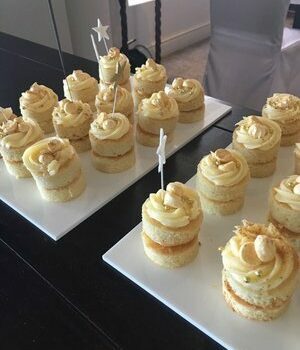 The breakfast was served to Pick n Pay VIPs and invited guests early on Sunday morning. 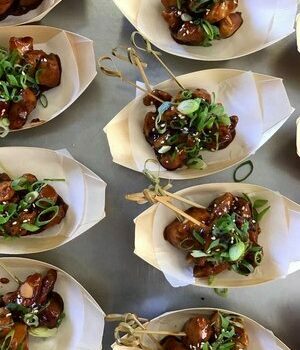 Our team was up at 03:00 in order to prepare the meals and make sure that the breakfast served was fresh and delicious. On the breakfast table we served a selection of croissants, plain and chocolate chip, and hot cross buns with jams and butter, fruit cups, egg and bacon wraps, and vegetarian wraps. 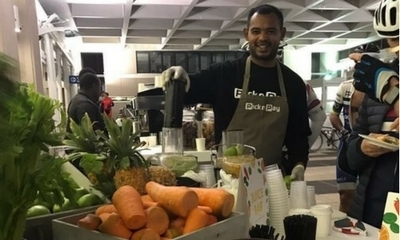 We also set up a juice bar where the VIPs and invited guests could pick from a selection of freshly chopped produce and create their own unique freshly pressed juice.